The Vanderbilt Diet, Body Composition, and Human Metabolism Core provides a valuable resource for all investigators (both within Vanderbilt as well as those at other institutions and organizations globally) who do not have ready access to personnel with the training and expertise in state-of-the-science methodology for obtaining valid and reliable assessment, intervention, and analyses of dietary intakes, nutritional status, body composition, physical activity, and energy balance. All services are tailored to meet the specific needs of the investigator and research aims. The primary objective of the Core is to provide valid, reliable, appropriate and cost effective methods to investigators that facilitate all types of human research (T1, T2 and T3) and study designs. 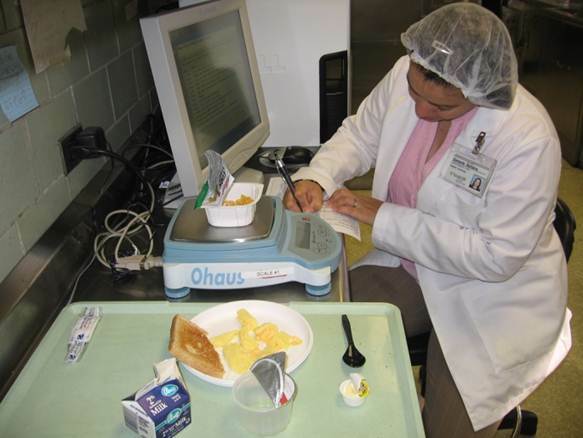 These methods include: 24 hour diet recalls, diet histories, food records/diaries, food frequency questionnaires, observed intakes and weighed intakes of all forms of dietary and nutrient intake (foods, beverages, dietary supplements, liquid nutrition supplements, enteral tube feedings, parenteral support and medications). Secondly, the Core offers diet, menu and recipe development and analysis. Thirdly, the Core offers comprehensive assessment of nutritional status and protocol specific nutrition and physical activity education, counseling and interventions. The Core also has extensive expertise in body composition methodology and performs measurement of skeletal muscle and adipose tissue in specific body regions or the whole body. In addition to this technical support, the Core provides expert advice on the advantages and limitations of the various diet, nutrition, body composition and metabolic methods to utilize in study design and interventions, as well as training to health care professionals in these methods, analysis and interpretation of results. Finally, we have a recruitment registry of >2800 adults (mostly with BMI > 25) interested in participating in clinical trials. The Core provides space, equipment, supplies and personnel for data collection and analysis. Investigators pay a fee-for-service that covers all costs related to the methods chosen. The Core provides these services by experienced registered dietitians and research assistants trained in performing valid and reliable procedures. The Core ensures a high level of quality control not only based on the expertise of the technical staff but also the stringent methods used to evaluate the quality of the data collected and analyses. In addition, the Core routinely surveys its users to make certain appropriate services are being provided and to assess future needs. The Core advisory committee evaluates the need to initiate or discontinue services annually.